It’s Medieval Monday and we’re continuing our villain theme with stop number five. 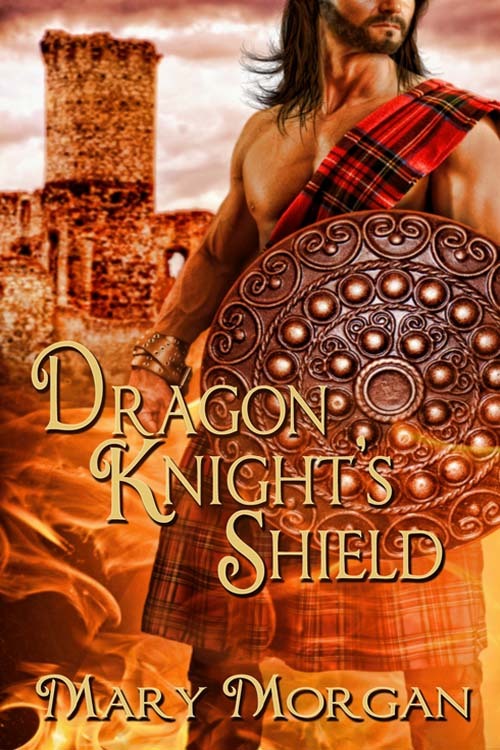 Today I welcome back Mary Morgan and her characters from Dragon Knight’s Shield. Isn’t the cover stunning? Happy reading! “I would advise ye to drop your weapon, MacKay. Ye will tell your brothers and the others to cease. Or…” He squeezed Deirdre’s arm, causing her to cry out in pain. Lachlan placed his dirk at her throat, drawing forth blood. “Did I not warn ye to keep your mouth shut? Ye should heed my words, or I will slit your throat in front of your Dragon Knight,” he snapped. You can find Mary and her work on her website. Thank you so much for being my guest, Mary. You and your characters are welcome any time! You won’t be disappointed with Mary’s books!